The accommodation at the Minto Guest House is a delight to the sensesi. Travellers will be able to experience what if must have been like to live in colonial charm and feel the breeze on the hotels veranda or chill out by the fire in the common room. This budget Brisbane accommodation exudes a special ambiance and is committed to providing a clean and comfortable place to stay on the edge of the city. Other features at the Minto Accommodation include a fully equipped huge Chef's kitchen & FREE fast wireless internet access. Consisting of a range of hotel rooms, friendly service and a great location in Brisbane the Minto Accommodation is the perfect place to stay for both business and holiday travellers. This affordable property also has lots of great facilities including direct internet access, faxing facilities, free car parking, guest laundry, bbq facilities and a lovely landscaped garden. 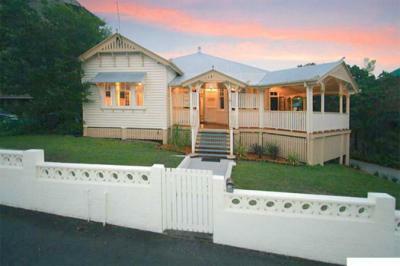 The Minto Accommodation provides guest house style rooms at cheap backpacker prices. The property is quiet, newly renovated and located only 5 minutes walk to the south bank train station and across victoria bridge to the city. Budget Room Single Or Bunk : Sleeps up to 2 guests on 1 Set of Single Bunk Beds or 2 Single Beds. Double Or Twin Private Room : Sleeps up to 3 guests on 1 Double Bed + 1 Rollaway Bed.